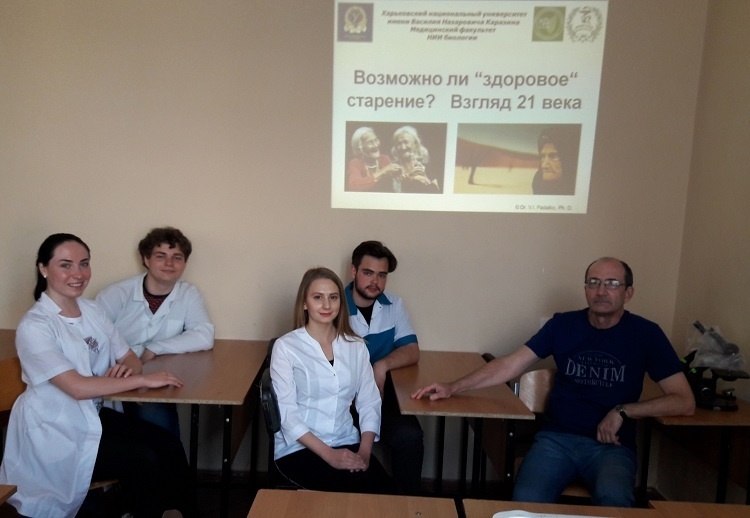 On May 24, 2018 it was held another meeting of the Students’ Scientific Section of the Department of General and Clinical Pathology of the School of Medicine of V. N. Karazin Kharkiv National University. In the course of the meeting the topic “Modern Perspectives on Aging Mechanisms and Possibilities of Healthy Aging” was under consideration. A presentation was made by the Candidate of Biology, Associate Professor V. I. Padalko, then it took place an intensive discussion about the topic. In the nearest time new meetings of the club are going to be held. Check out the latest news!